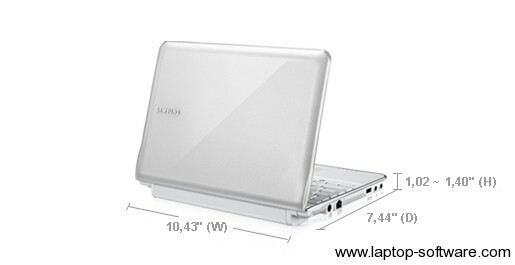 Samsung N210 Netbook come with Processor Intel ATOM N450 that 1,66 GHz, and use 10,1″ WSVGA LCD, only 1,34 kg (2,95 lbs),Graphic is Memory Shared Memory (Int. Graphic). Samsung N210 Netbook Windows 7 / XP Drivers download now.